Each year, nearly 900 doctoral and more than 2,100 master’s degree recipients join the Rackham alumni community. A global network of more than 115,000 alums, Rackham grads continue to discover innovative solutions to the world’s most complex questions, establishing themselves as leaders in their fields. Through mentorship and philanthropic giving, they also provide a strong foundation upon which current students can thrive during their time on campus, setting them up for success once they leave. 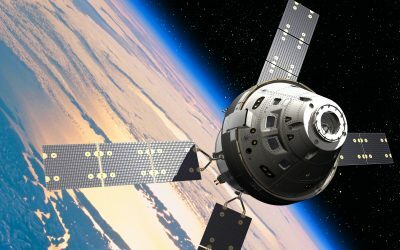 As CEO of Odyssey Space Research, Brian Rishikof applies his Rackham engineering degree to innovation and safety in human spaceflight. We are grateful to everyone on the 2018 Honor Roll of Donors. 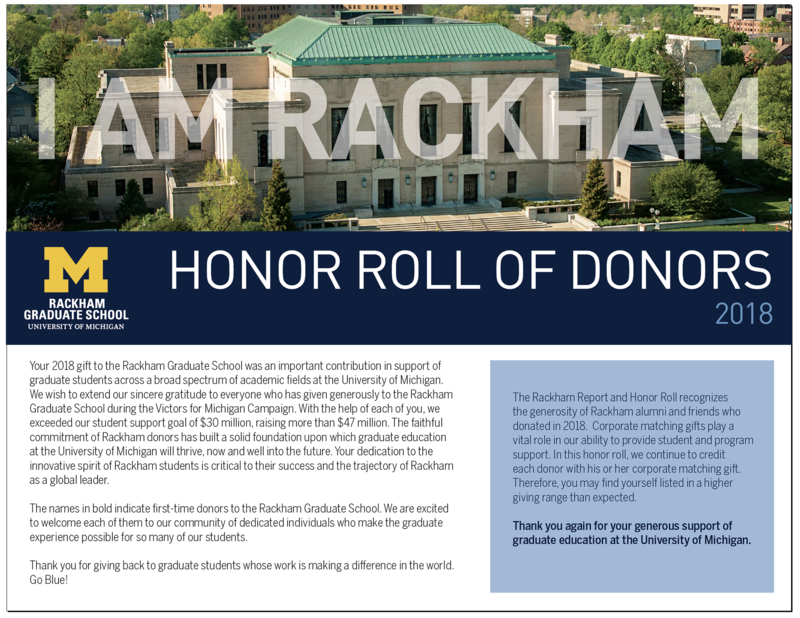 Rackham donors gave over $47 million for student support in the Victors for Michigan campaign! Rackham Connect Coming in Spring 2019! 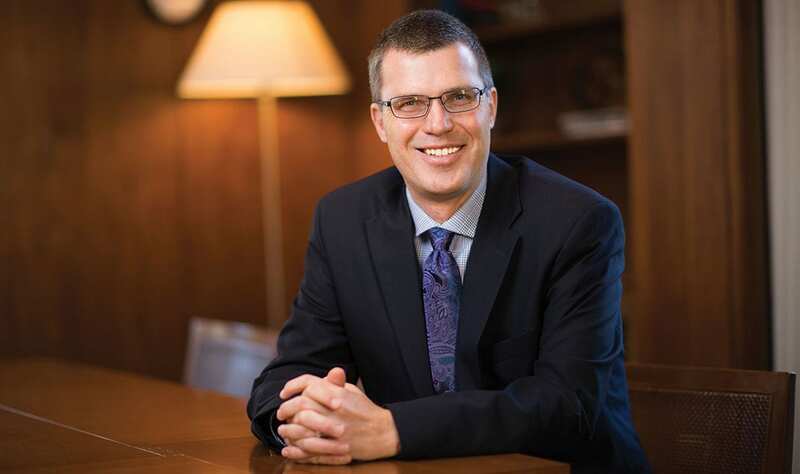 We invite you, our alumni, to stay connected with Rackham and network with classmates, peers, and professionals in your field and in others. As the school year progresses, keep an eye out for Rackham Connect, a platform in partnership with the Career Center’s University Career Alumni Network (UCAN). Not only will students be able to connect with alumni and potential mentors, but Rackham alumni will have a space to connect with one another. You can use the U-M Alumni Record Update Form to update your home address, business address, telephone number, fax number, or email address. Where can I obtain a copy of my diploma or transcript? Contact the Registrar to request a replacement diploma or official copy of your transcript. Where can I purchase a hood? The Michigan Union Bookstore, located in the basement of the Michigan Union, sells hoods to graduating students, alumni, and faculty. How can I learn more about career and placement services? Contact the University’s Career Center to learn more about current services for students and alumni.